HR/Advantage Advisory is staffed by certified HR professionals and draws on a deep bench of partnerships to provide your business with the human resources services it needs. Kristin brings with her over 25 years of progressive HR experience. Prior to joining HR/Advantage Advisory, she was an Executive Consultant for The Ayers Group providing outplacement and services to a variety of clients/industries. 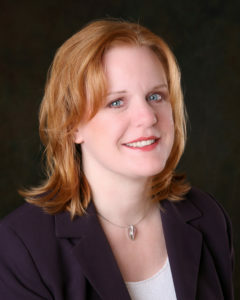 Prior to The Ayers Group, Kristin held the role of VP, Global Human Resources for Percepta (JV between Ford Motor Company and TeleTech). In this role, Kristin was a member of the senior executive team and was responsible for leading the HR function for a $100M, 1800 employee organization which operated in 14 countries. Kristin has also held senior-level leadership roles for Fortune 500 companies including Kelly Services, BASF, and General Electric. Kristin has a solid HR background in a variety of areas with particular strengths in Employee/Labor Relations, Recruiting/Staffing, Leadership Development, Strategic Planning, Compensation, Team Building/Development, Executive Coaching, Employee Engagement, Change Management, M&A, Organizational Development/Design and Training. Kristin holds a B.A. in Social Science and an M.A. in Labor and Industrial Relations from Michigan State University. She is a SHRM Senior Certified Professional (SHRM-SCP) and is a member of the Society for Human Resource Management (SHRM) and Detroit SHRM and a variety of volunteer organizations. 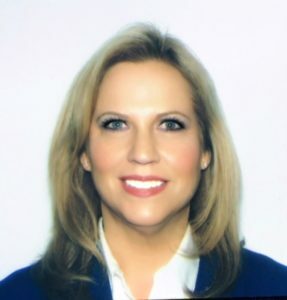 Andrea earned her bachelor’s degree in Business Administration with a major in Human Resource Management from the University of Michigan-Dearborn. Andrea has solid experience in a variety of areas including FMLA/Leave of Absence Management, Recruiting, Onboarding, HRIS Administration and I-9 Compliance Audits. Prior to joining HR/Advantage Advisory, Andrea served as the HR Coordinator at G-TECH Services, Inc. where she gained invaluable experience in staffing, training, and immigration-related matters. 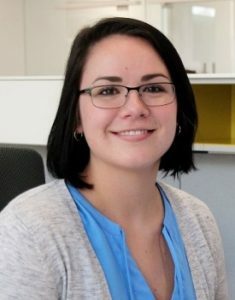 Andrea is a SHRM Certified Professional (SHRM-CP) and is a member of the National Society for Human Resource Management (SHRM), Detroit SHRM, Greater Ann Arbor SHRM, and other volunteer organizations. 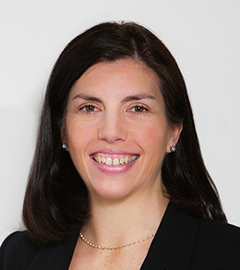 Michele brings more than 20 years of strategic and practical HR experience having worked with both large and small companies across multiple industries. Prior to joining HR/Advantage Advisory, Michele was an independent consultant having worked with several clients including North American Bancard and Bright Horizons. 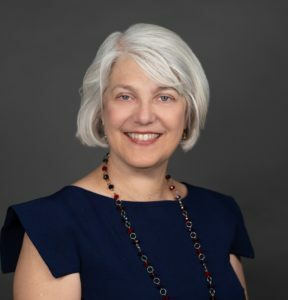 Prior to working as a consultant, she led the Talent function for Learning Care Group, a leader in the early childhood education industry with over 900 childcare centers in 37 states. Michele also worked at the world headquarters for Fortune 500 Kelly Services for ten years, where she was HR Director for seven years. She then started Kelly’s first Talent Management function and eventually also managed Kelly’s internal Talent Acquisition function. Michele also worked with a 150 restaurant franchisee of Arby’s where she had a broad HR role managing worker’s comp/OSHA compliance, EEO and employee relations investigations, and recruiting. Michele has a solid HR background in a variety of areas with particular strengths in Talent Management, Recruiting/Staffing, Leadership Development, Strategic Planning, Employee Relations, Team Building/Development, Executive Coaching, Employee Engagement, Change Management, Organizational Development/Design, and Training. Michele earned her BBA with a major in Accounting from Eastern Michigan University and her MBA from the University of Michigan. She has been certified through the Human Resources Certification Institute as a SPHR since 1998. Michele is certified in several assessment tools including Caliper and Korn Ferry’s Leadership Architect 360. Holly has worked extensively in the human resources field as a senior-level practitioner and advisor to both large and small businesses. She handled all aspects of human resource management in her previous role for a rapidly growing relocation services provider. Prior to joining HR/Advantage Advisory, Holly was President of an HR consulting firm that focused on providing strategic advice and day-to-day HR support on recruiting, compensation, and employee relations to a variety of corporate and non-profit entities. She also served as Managing Director of the Human Resource Management Group at the Pittsburgh Technology Council. Holly is a frequent presenter, including being selected as a speaker at the 2006 national SHRM conference, on the topic, “Introverts and Extroverts: How much Space is Too Much Space?” A graduate of the Entrepreneurial Fellows Program at the Katz Graduate School of Business, Holly has a Bachelor’s degree from Penn State University and holds both SHRM-SCP and SPHR credentials. She is also a winner of the PA Department of Community and Economic Development’s “Best 50 Women in Business” in Pennsylvania. Sam earned his Bachelor’s Degree in Business Administration with a major in Human Resource Management from Oakland University. Prior to joining HR/Advantage Advisory, Sam worked as a Safety and Environmental Coordinator at MMI Door where had gained experience in safety training and compliance. Sam is a SHRM Certified Professional (SHRM-CP) and is also a member of the National Society for Human Resource Management. Sam will be continuing his education at Oakland in the fall of 2019 in pursuit of his MBA. Paul W. Boehms is the President of HR/Advantage Advisory, in addition to being the Practice Group Director of Clark Hill’s Labor & Employment and Real Estate Groups. In these capacities, Paul is responsible for the daily operations as well as strategic planning, business development, and all aspects of human capital management. In his role at Clark Hill, Paul worked with the Labor & Employment attorneys to develop HR/Advantage (hr-advantage.com) which captures the best practices of Clark Hill’s Labor & Employment group to offer packaged products and solutions at predictable fees. HR/Advantage Advisory was created in response to client demand for HR consulting and products offered through a non-legal services channel. Paul now works to develop relationships with strategic partners to enhance their value proposition by providing outsourced HR solutions via HR/Advantage Advisory. Paul previously worked for 15 years at Deloitte serving in client service, financial, and operational roles. At Deloitte, Paul earned his Black Belt in Lean/Six Sigma, and has provided guidance to both manufacturing and HR professionals regarding implementing these concepts in their workplace. Paul is a graduate of The Wharton School of the University of Pennsylvania where he earned his M.B.A. in Finance & Entrepreneurial Management. He received his undergraduate degree in Business Economics and Theology from Wheaton College in Illinois.